On 20 September 2018, the semi-finalists in the 2018 Doug Moran Portrait Prize were announced. From over 1,000 entries, they have chosen 132 diverse and inspiring artworks from a group of amazing Australian artists - including myself. It’s an immense privilege to be included once again this year. You can view my entry - ‘Self Portrait - Warrior, Strong & Proud’ on their website here. I was also included in the Guardian’s coverage of the prize in pictures (25 September 2018). The Moran Arts Foundation determines the semi-finalists for the 2018 prize, which showcases original works by Australian artists. 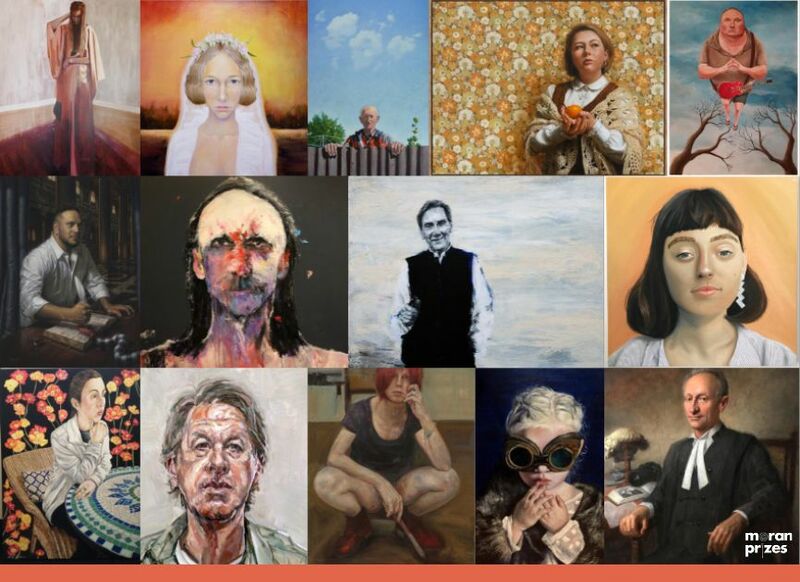 30 Doug Moran National Portrait Prize finalists were announced on 11 October 2017. I am truly humbled to find my name amongst the finalists of this prestigious award, and am looking forward to the trip to Sydney to be a part of this journey. A big thank you to my mentors Belinda Hope and Marco Corsini and my long suffering wife Gaye who has endured the life of an artist "widow" as I spend hours every night in the studio practicing my practice. Photos below are from the winner announcement in October 2017. I'm pictured with my artwork and with one of the judges, Wendy Sharpe. "One of our Moran Portrait Prize finalists, emerging artist, Glenn Loughrey, will be giving a talk at Juniper Hall Paddington this Sunday at 2pm. His portrait, Exile-Self Portrait of an Indigenous Man, is proudly hanging in the exhibition. Come along and see for yourself, meet Glenn and enjoy a glass of wine to top off your weekend! moranarts.org.au"